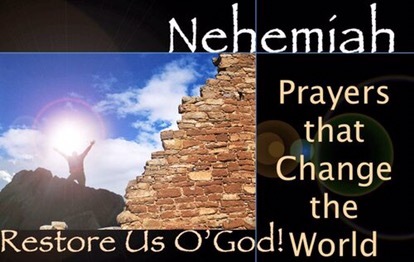 Nehemiah begans to pray and fast because of the desolation of the city, and the brokenness of Jerusalem and the wall that was torn down. Amazing Americans are crying out in pain as well as victory. However the state of America needs prayer and fasting. 11 O Lord, I beseech thee, let now thine ear be attentive to the prayer of thy servant, and to the prayer of thy servants, who desire to fear thy name: and prosper, I pray thee, thy servant this day, and grant him mercy in the sight of this man. For I was the king’s cupbearer. Next Post Building lives is What Gods does (what about you)? Unify today!